Founded in 1955, Namco (Nakamura Manufacturing Ltd. at the time) got its start installing rocking horse rides on the top of a department store. In 1972 they adopted the "Namco" name and two years later entered the arcade gaming world with their purchase of "Atari". 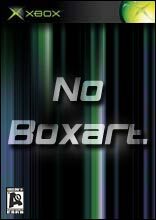 Today they develop such key titles as "Tekken", "Soul Calibur" and "Ridge Racer". Website Quote: "'Play is culture.' This is a tenet fundamental to our corporation, based on our beliefs that the 21st century will be an 'Era of Spirituality,' and that 'To play is human.' Basic human needs are in a state of transition, moving from values based in materialism--that is acquiring more, better and different goods--to a more spiritually fulfilling existence that satisfies the human desires for play and pleasure." 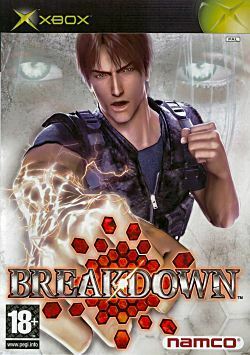 Breakdown, exclusive to Xbox, is a sci-fi thriller that combines the best elements of shooters and fighters in a first-person action/adventure game. The game's intense storyline is told through high-quality real time rendered graphics that bring an u.. In "Dead to Rights II: Hell to Pay," Jack Slate and his K9 partner Shadow are thrown head first into the crossfire between criminal organizations battling for control over Grant City's underworld. The story-driven action in "Dead to Rights II: Hel.. Kill Switch is an innovative military shooter that emphasizes realistic cover techniques and awesome firepower for the ultimate experience in combat gaming. Featuring the unique Offensive Cover System, Kill Switch demands the use of modern combat tac..
Namco brings an unprecedented number of classic arcade hits home in one package. Games included are Pac-Man, Ms. Pac-Man, Galaga, Galaxian, Dig Dug and Pole Position. 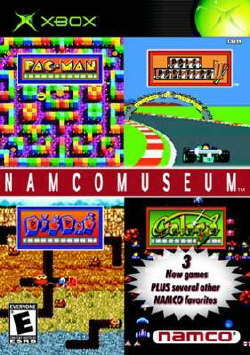 But the fun doesn't stop there, since Namco has added all new arrangement modes plu..
A compilation of three Namco classic videogames: Dig Dug, Pole Position, and Galaga available through the Xbox Live Arcade service for download. ..
"Voodoo Vince" offers unbelievably wacky fun for gamers of all ages, taking them on a light and humorous adventure through an exaggerated re-creation of New Orleans. The game offers colossal..